Sticky fingers, food scraps and soap scum do a number on your counters in the kitchen and bathroom. 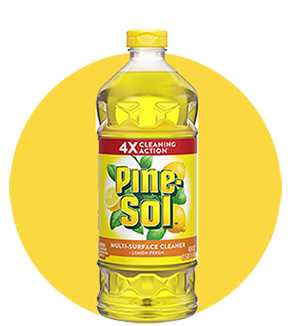 Get your countertops clean and gleaming again with Pine-Sol®. Dilute ¼ cup of Pine-Sol® in one gallon of warm water. 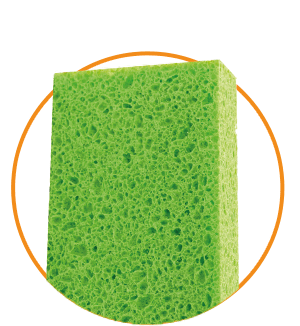 Dip a sponge in the mixture to wipe grease and grime away. 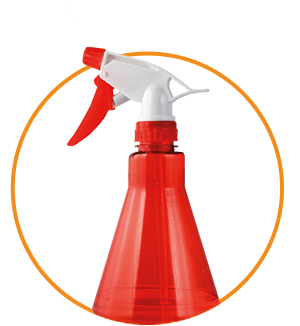 Or for everyday mess control, keep the Pine-Sol® mixture in a spray bottle for quick cleaning spritzes. Scrub crevices in counters with grout with an old toothbrush. Scrub stubborn messes or stains with full strength Pine-Sol®, using plastic scrubbing pad or cloth. Finish by rinsing with water. Use Pine-Sol® Lemon Fresh to clean sticky kitchen countertops, and refreshing Pine-Sol® Lavender Clean® for bathroom counters.